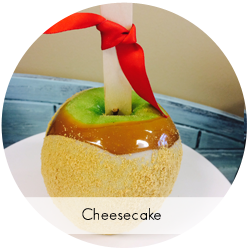 We take crisp, green Granny Smith apples and hand dip them in a delicious caramel. Then we dip them in a variety of yummy toppings! 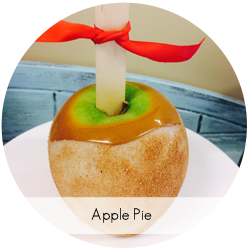 Each apple weighs at least 1 lb! 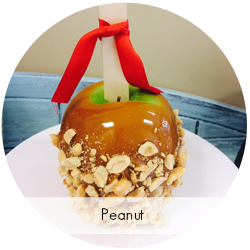 Granny Smith apple hand dipped in caramel, rolled in peanuts.